NEW LOW PRICE! 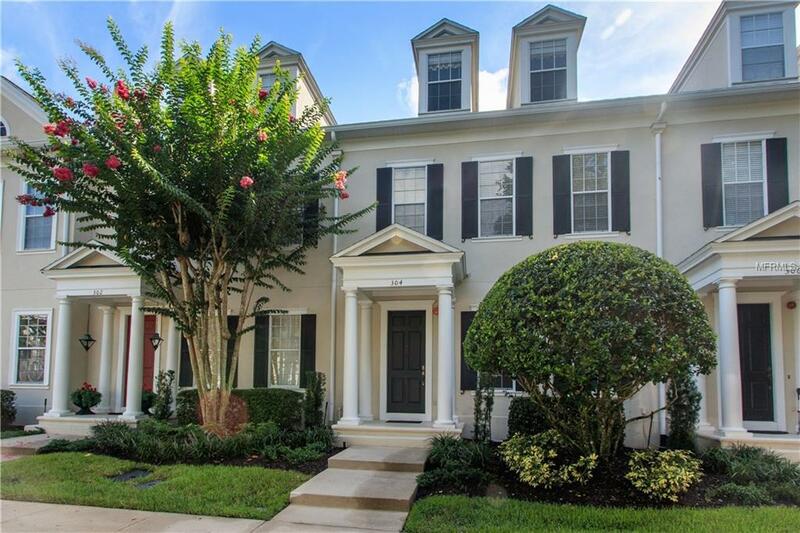 Beautiful ISSA Townhome overlooking the Preserve! Nested in a quiet and charming section of Celebration-Disney's built town! This Pristine home features 3 spacious bedrooms and 3.5 bathrooms. Upon entry, the open floor plan has new wood flooring throughout home, crown molding, formal living room, dining room and kitchen on first level. Light & Bright Kitchen boast new stainless steel appliances, plenty of storage, writing desk & powder bathroom off the kitchen area. French door to screened in porch with view of conservations. Nice fenced courtyard area - Great place to relax and enjoy the views. 2nd floor is the Master suite & 2nd bedroom. Laundry closet is conveniently located near bedrooms. Master suite is spacious & has a wonderful walk in desk area/office. Master bathroom has dual sinks with garden tub & walk in shower. You'll love the newly renovated bathrooms- quartz countertops- nicely designed. Beautiful tile work in secondary bedrooms. 3rd floor features a very spacious 3rd bedroom w/ large walk in closet and fabulous bathroom w/ tub, shower & elegant glass shelving. You'll enjoy this space! Other features include New AC's & New Water Heater in 2016, New Roof 2017, 2018 New Garage door opener. Come enjoy this Immaculate Townhome w/ 2544 Sq. Ft. -Plenty of room! Very private- 2 car garage & Block construction! This is a rare opportunity! Enjoy all the Celebration amenities, parks, pools and events. Only 5 minutes to Disney Parks and 15 mins to Orlando International Airport. Listing provided courtesy of Oxford Realty, Inc..